Chevening offers a unique opportunity for future leaders, influencers, and decision-makers from all over the world to develop professionally and academically, network extensively, experience UK culture, and build lasting positive relationships with the UK. 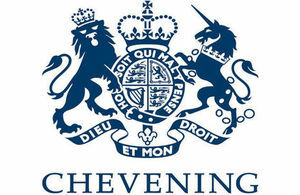 Applications for Chevening Scholarships and some Chevening Fellowship awards are now closed. Applications for various Chevening Fellowships programmes open at different points during the year, so please visit your country page for more information. Are an employee, a former employee, or relative of an employee (since July 2015) of Her Majesty’s Government (including British Embassies/High Commissions, the Department for International Development, the Department for Business, Energy & Industrial Strategy, Department for International Trade, the Ministry of Defence and the Home Office), the British Council, or a staff member of the Association of Commonwealth Universities. Employees, former employees, or relatives of an employee (since July 2015) of Chevening Partner organisations are eligible to apply, but cannot receive a Chevening/Partner Award from the organisation for which they work, previously worked, or are affiliated with through relatives. Have previously studied in the UK with funding from a UK Government-funded scholarship. However, if you have previously studied under a UK Government-funded scholarship (including Chevening), you may be eligible to apply for a Chevening Fellowship five years after completion of your initial UK Government-funded scholarship.